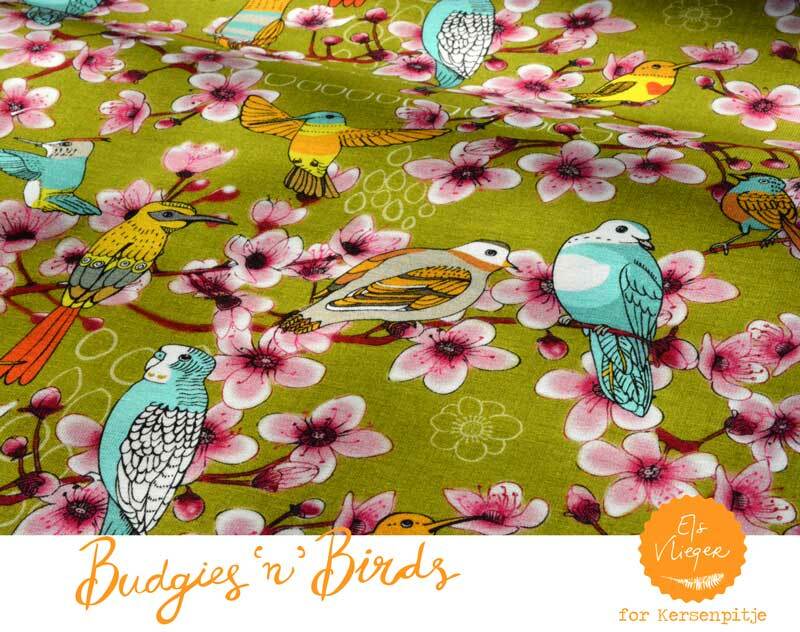 Budgies ‘n’ Birds is a fun and quirky fabric in bio jersey with all sorts of sweet birds like doves, budgies and hummingbirds in a cherry blossom tree. It is available at Kersenpitje and in fabric webshops throughout Europe. 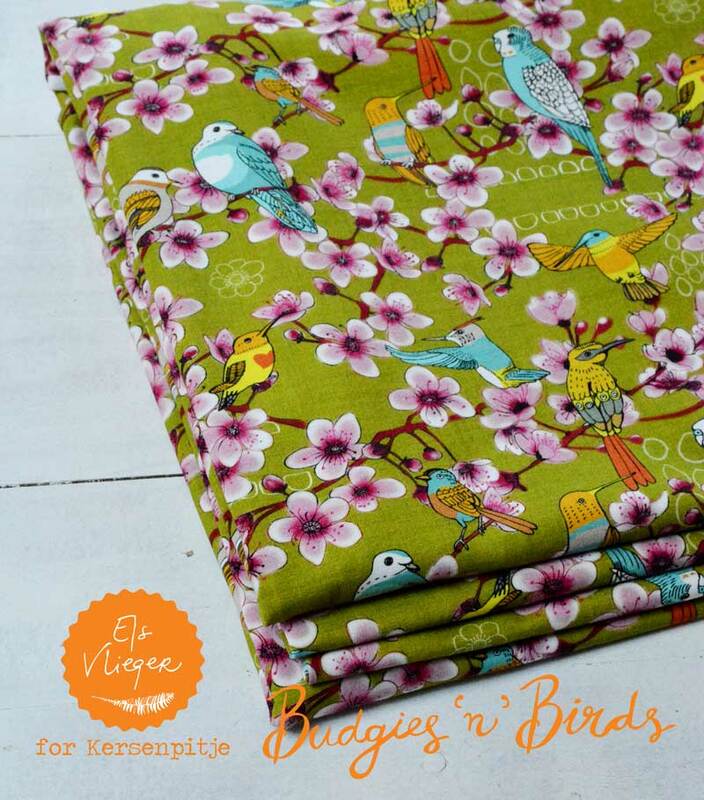 For wholesale information about the fabrics in Europe, please contact Kersenpitje. 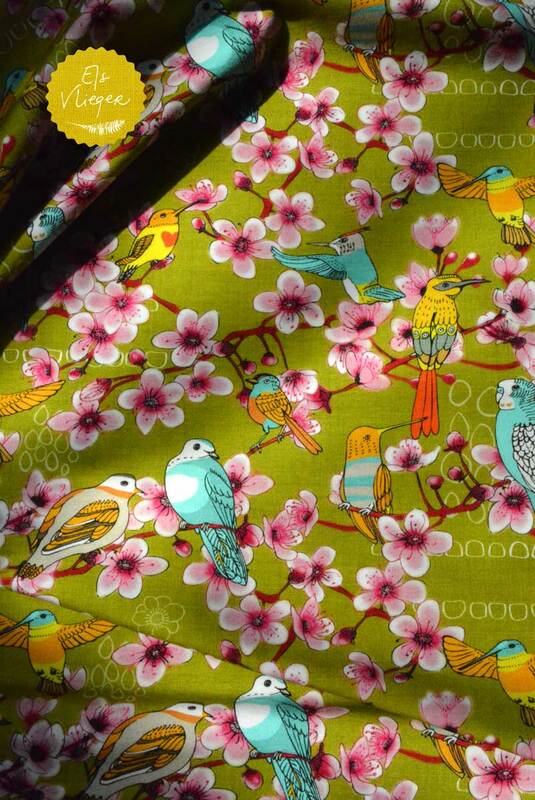 If you’re interested in this pattern for licensing purposes feel free to contact me.